European Union finance ministers delayed a decision on disbursing an 8 billion euro loan needed to avert a default by Greece next month and rejected proposals by US Treasury Secretary Timothy Geithner to expand the EU’s bailout fund and consider limited short-term fiscal stimulus measures to counter the threat of a new financial meltdown. The crisis meeting of the EU’s Economic and Financial Affairs Council (Ecofin), held Friday in Wroclaw, Poland, highlighted the widening divisions between the US and European powers, led by Germany, as well as between EU member states themselves. The prospect of an imminent default by Greece on its international debts has sent shock waves through financial markets in recent weeks, undermining the stability of major European banks, especially in France, and contributing to a dramatic slowdown in economic growth in Europe, the US and Asia. The extent of Washington’s concern was underscored by the dispatch of Geithner to attend the meeting, marking the first time an American attended a meeting of European finance ministers. Geithner met for 30 minutes with the finance ministers and pressed for more rapid and decisive action to forestall state bankruptcies that could undermine the common European currency and crash the world banking system. The crisis conditions surrounding the meeting were underlined by the announcement the previous day that five major central banks—the US Federal Reserve, the European Central Bank, the Bank of England, the Swiss National Bank and the Bank of Japan—would make unlimited amounts of US dollar loans available to European banks until the end of the year. Some of the biggest banks in Europe, including two big French banks that were downgraded by Moody’s earlier this week and leading banks in Italy and Spain, have been unable to obtain loans from US banks or money market funds because of their large exposure to Greek debt. The coordinated action by the central banks is designed to take the pressure off of these banks, some of which have seen catastrophic declines in their share values, and avert a failure by one or more of them in the coming days or weeks. Also on Thursday, the European Commission slashed its growth forecast for the European Union to 0.2 percent for the third quarter and 0.1 percent in the fourth, down from projections of 0.4 percent for both periods. Even as the meeting in Poland was underway, rumors were swirling that Moody’s was about to downgrade the sovereign debt of Italy, the continent’s third largest economy. In the final hour of trading on France’s stock market, news of the failure of the finance ministers to agree to any measures to stem the debt crisis sparked a sharp drop in bank stocks, plunging the CAC 40 stock index into negative territory. The universal response by governments in Europe as well as the US and Japan is to make the working class pay for the crisis of the world capitalist system by slashing jobs and wages and gutting social programs and pensions. 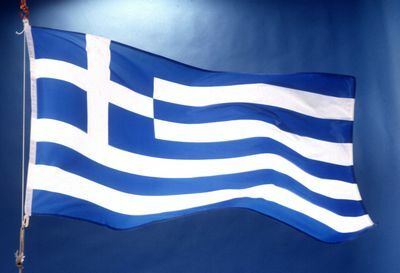 By withholding the next tranche of bailout funds for Greece previously approved by the European Union, the International Monetary Fund (IMF) and the European Central Bank (ECB), the finance ministers were putting added pressure on the Greek government to implement deeper spending cuts and more rapid and extensive privatizations of state enterprises. Prior to the meeting, IMF Managing Director Christine Lagarde, who is close to Washington and has been advocating similar policies to address the European debt crisis, warned Greece that the IMF would not agree to release the 8 billion euros unless it fully met the debt-and deficit-reduction targets imposed in return for the bailout. Greece has said it will run out of cash to pay public-sector wages and pensions and meet its debt obligations by mid-October unless it receives the promised 8 billion euro transfusion. The EU finance ministers are set to meet again October 3. But while there is unity in using the crisis to destroy the living standards of the working class, national and regional divisions are growing increasingly intense as governments seek to insulate their own corporate-financial elites and offload the impact of the crisis to the greatest extent possible onto their rivals. The finance ministers’ meeting failed to approve a plan to revamp the EU’s 440 billion euro bailout fund, the European Financial Stability Facility (EFSF), which had been agreed to in principle last July. It put off until next month a push for the ratification of the plan by the national parliaments of the 17 states in the euro zone—something that is increasingly dubious as political opposition grows in a number of states. Finland is demanding collateral from Greece in return for its part of any further rescue money for the near-bankrupt country, a demand that threatens to unravel the entire scheme. Other countries, including Austria, have said they will also demand collateral if it is granted to Finland. No agreement was reached at Friday’s meeting on the collateral issue. Washington is pushing for a bigger bailout of the European banks, along the lines of the Troubled Asset Relief Program of 2008-2010 in the US. As with TARP, the new handouts to the European banks would be paid for by taxpayers. At Friday’s meeting, Geithner rejected a counterproposal by German Finance Minister Wolfgang Schaeuble that any expansion of the EFSF be funded by a tax on financial transactions, something bitterly opposed by Wall Street. The remarks of various European ministers to reporters following Geithner’s intervention make clear the acrimonious mood of the meeting.